After years of focusing on the Pride festival, Capital Pride (CP) parade coordinator Tova Larsen wants to “bring the parade back” and put renewed emphasis on what used to be the centrepiece of the celebrations. For many attendees, the parade is Pride, she says; it’s a powerful gathering that helped change her life. The Pride parade will begin at the intersection of Gladstone and Bank streets, turn right onto Laurier Avenue West and end at the festival grounds at Ottawa City Hall. 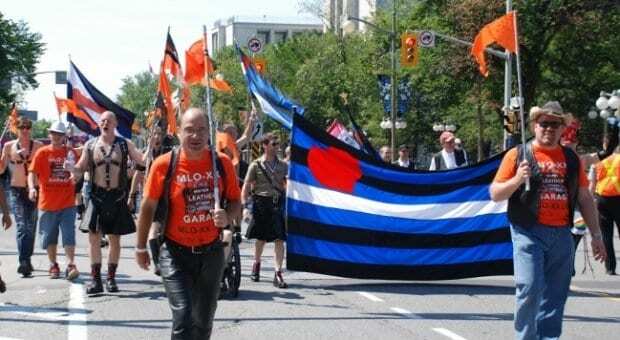 Some community members remember the days when the parade travelled by Parliament Hill. While the visual impact of that route was undeniable, Larsen says running the parade in front of the country’s political hub simply isn’t feasible in 2013. This year’s parade will be reviewed by a panel of judges, who will select the winners for the best motorized float, best marching contingent and most creative entries. Last year’s Best Float winners, the contingent from Mister Leather Ottawa, will have a special placement of distinction in the parade. The decision to distinguish between marching contingents and actual floats was a move to level the playing field, Larsen says. Parade attendees can vote for the People’s Choice Award by picking up ballots, available on the parade route or at the festival grounds. The ballot box is located near the festival ground’s bar. Larsen is aiming to register 100 floats and marching groups this year.